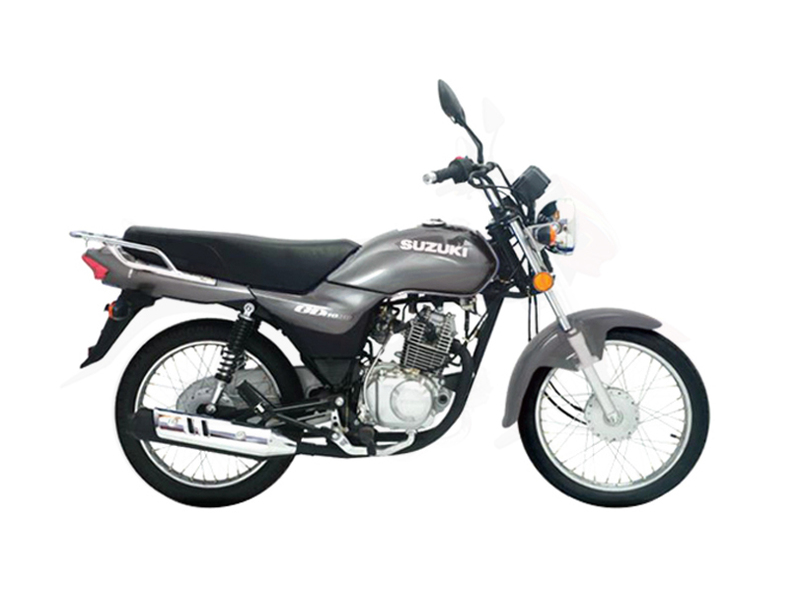 Suzuki is a well-known name in the motorbike manufacturing industry of Pakistan. Suzuki bikes in Pakistan are known for their spectacular design language and efficient fuel economy. The company is striving hard to give its customers Suzuki motorcycles which can effortlessly fulfill their needs in an effortless manner. Suzuki bikes are manufactured by a team of highly qualified engineers, who have the expertise to design and build motorbikes according to the latest trends, which every biker of today wishes to have on its bike. The reason behind the popularity of Suzuki bikes Pakistan is their price and reasonable resale value in the motorbike industry. Suzuki bike price in Pakistan surely plays a significant role in the popularity of these bikes among the consumers. Moreover, Suzuki Motorbikes Company has a major dealership network in Pakistan, which is also considered as one of the main reasons behind its dominance in Pakistan motorbike industry. The healthy sale figures show that the Suzuki Pakistan bikes are single-handedly fulfilling the demands of luxurious bikes by consumers in the country. Here in this blog, I will be discussing most popular and bestselling Suzuki bikes in Pakistan which include Suzuki Sprinter ECO, Suzuki Raider 110, Suzuki GD110, Suzuki GD 110s, Suzuki GS 150, Suzuki GS 150se, Suzuki GR150, Suzuki Inazuma, Suzuki Inazuma Aegis, Suzuki GSXR 600, Suzuki Intruder, Suzuki Bandit and Suzuki Hayabusa. Suzuki Sprinter ECO price in Pakistan is Rs.98,400, which is fairly reasonable as compared to other brand bikes with similar features and specs. Suzuki sprinter is a bike which is specially designed for the consumers who wishes to ride a bike which has the capability to give the rider a joyful ride in an effortless manner. Suzuki Sprinter ECO is the latest example of modern innovation designed by the highly experienced and qualified Suzuki engineers. It is an environment-friendly bike which is equipped with some appealing features and specs. There is a Polyurethane foam element placed in the Sprinter Eco which makes its exhaust emission environment-friendly in all sorts of weather conditions. Suzuki sprinter eco is powered with a 110cc 4 stroke single cylinder engine, which has the capability to give an extravagant performance. The build quality of this bike is remarkable as Suzuki bikes are especially known for their durable build quality. No matter how fast are you going on this bike it doesn’t make a single buzz sound, which is quite impressive of being a 110cc bike manufactured by Suzuki. Its sturdy and firm frame ensures it gives the rider a smooth and comfortable ride on all sorts of roads in the country. It also has a friendly fuel mileage, which surely is being loved by the Suzuki bike fans in the country. Suzuki Raider 110 price in Pakistan is Rs. 101,400 which is competitive when we compare it with other brand 110cc bikes by popular motorbike brands in Pakistan. Suzuki Raider is a bike which is designed by the experienced Suzuki engineers by keeping in mind the latest trends and demands of the riders, who wish to ride a bike that gives them a comfortable driving experience. The bike is made by using the latest Japanese technology, which makes it give high tech fuel efficiency. Suzuki bikes are well-known for their durable body design and powerful engines, Suzuki Raider 110 is also one of it. Suzuki 110 Raider is powered with 110cc 4-stroke single cylinder engine. The bike features an attractive speedometer, bright crystal headlight, newly design backlight and appealing graphics on the fuel tank and side covers. It also comes with the resistive suspension system in shocks, which allows the rider to enjoy a smooth and comfortable ride even on bumpy and uneven roads. The top speed of this 110cc Suzuki bike is 105kmph, which is quite impressive. This 110cc Suzuki Raider is highly recommended to the bikers who are willing to buy a 110cc bike which is available at a reasonable price in the motorbike industry of Pakistan. Suzuki GD110 price in Pakistan is Rs.119,000 which is reasonable while comparing it with other brand 110cc bikes in Pakistan. Suzuki motorcycle Pakistan has surely made this GD 110 bike a remarkable bike on wheels. It features a durable build quality, which also makes it a must buy the bike in the country. The complete bike features an aggressive and appealing design language like any other 110cc bike designed by a popular motorbike manufacturing company. It is specifically designed by experienced Suzuki engineers by keeping in mind the demands of the young riders. This bike is priced at a reasonable price tag, which is also one of the main reasons behind the popularity of this bike among the young riders in the country. 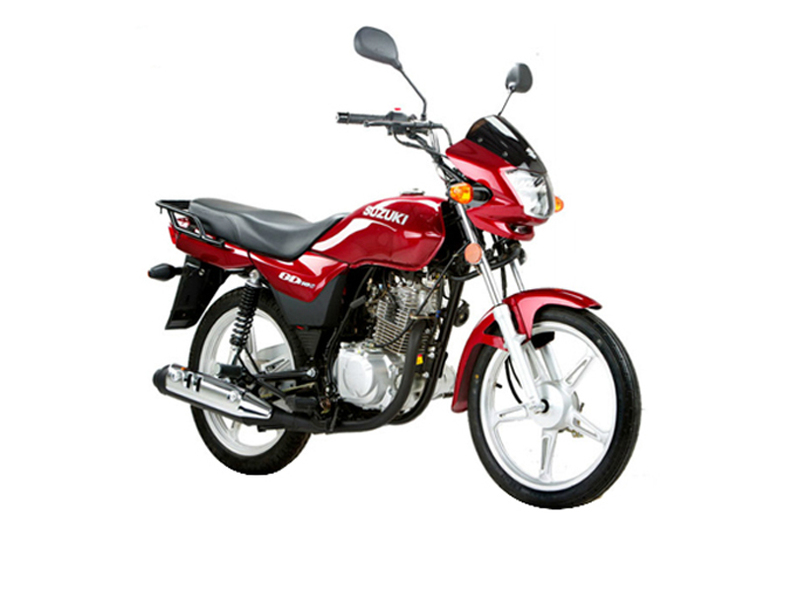 This Suzuki motorcycle 110 comes in a range of appealing colors which include grey, red, blue and black. All these colors give this Suzuki bike 110 an appealing and catchy look. The bike is powered by a powerful and fuel efficient 110cc 4 stroke single cylinder petrol engine. Its top speed is 105kmph which is quite fast for a 110cc bike by Suzuki. It features a stylish speedometer which shows indicator symbols and digital gear numbers. It also features 17inch tube tires which gives this bike a firm road grip and stability. Its aggressive design, crystal bright headlight, muffler, fender, and fuel tank makes this bike the most desirable choice for young riders. 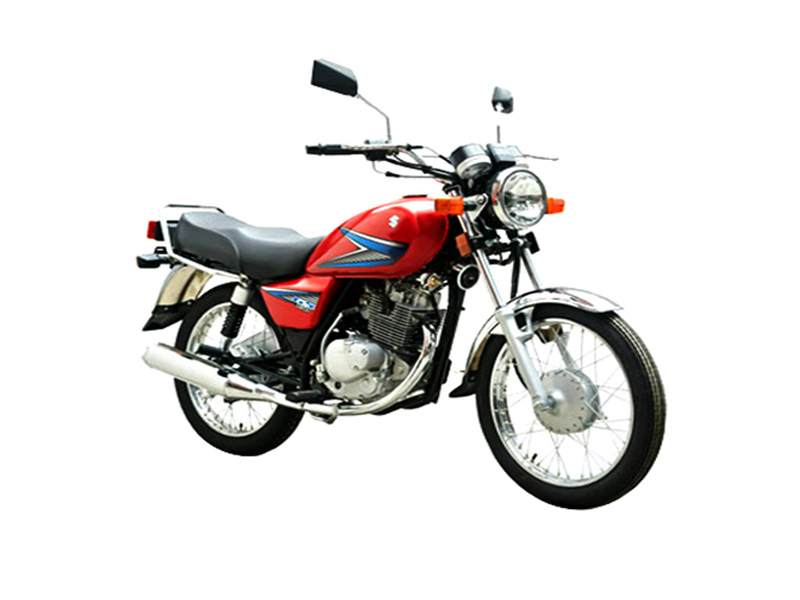 Suzuki GD 110s price in Pakistan is Rs.131,000 which is economical as compared to other brand 110cc motorbikes available in the motorbike industry of Pakistan. Suzuki GD110s is a bike which features an aggressive and appealing design language. This bike certainly makes the expectations high of the Suzuki fans, who wish to ride a bike which allows them to enjoy a thrilling riding experience. Suzuki GD110s is a powerful bike, which has the capability to fulfill all sorts of demands by the modern riders in the country. It features a sporty and durable build look, which is just like any other 110cc bike available in the market. Suzuki GD110s features a stylish design headlight, taillight, sporty bike design and appealing graphics on the fuel tank and side covers. This 110cc motorbike is powered with EURO II technology 110cc engine, which makes this bike gives an extravagant fuel economy. It features a 110cc 4 stroke single cylinder air-cooled engine. It comes with aluminum alloy wheels, which gives this bike a sporty and stylish look. It features a firm grip, which gives the rider satisfaction to stop the bike at high speed with ease. The seat of the bike is comfortable, which is specifically designed for long rides. The bike comes in three appealing colors which include grey, red and black. This aggressive design bike comes with black chrome plated muffler for better exhaust. 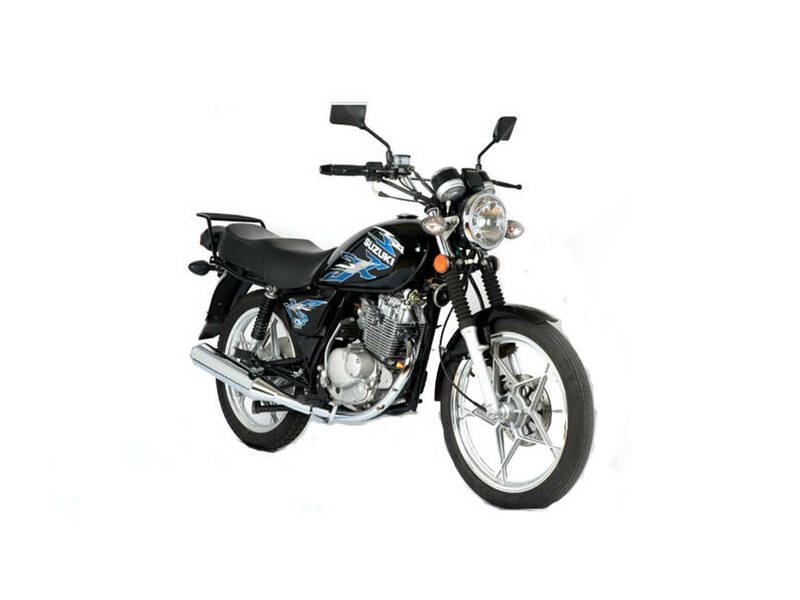 Suzuki GS 150 price in Pakistan is Rs.1,33,500 which is quite reasonable when we compare it with popular brand 150cc bikes which include Honda, Benelli, Yamaha and many other available in Pakistan Motorbike Industry. This 150cc Suzuki motorcycle is ranked among one of the popular and most selling 150cc bikes in Pakistan. The reason behind the success of this bike in the motorbike industry of Pakistan is its appealing features and competitive price. It is also highly recommended to the consumers in Pakistan who are searching for a bike for local rides instead of touring. Pak Suzuki is a well-known name in the motorbike industry, which is also the reason behind the preference for Suzuki motorcycles in Pakistan among consumers. Suzuki GS 150 features a long-lasting and dependable build quality which is specially manufactured by keeping in mind the needs and demands of the modern bike riders in Pakistan. 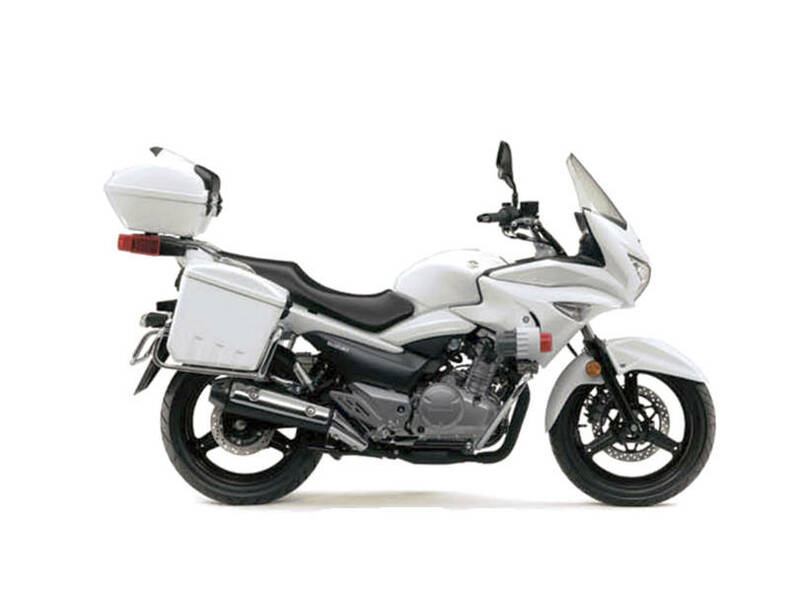 GS 150 is equipped with a dominant 150cc engine that is coupled with the 5-speed gearbox. It comes with a comfy seat and potent shocks which allows the rider as well as the passenger to enjoy a bump-free ride on uneven roads. It comes with both kick start and electric start functionality, which is not mostly seen in other brand 150cc bikes available in Pakistan. Suzuki GS150 se 2018 price in Pakistan is Rs.158,500, which is quite economical as compared to other local and imported brand 150cc engine bikes. Suzuki motorcycles are exceedingly recommended to the customers who are interested in buying bikes which features a durable build quality and fuel-efficient engines. 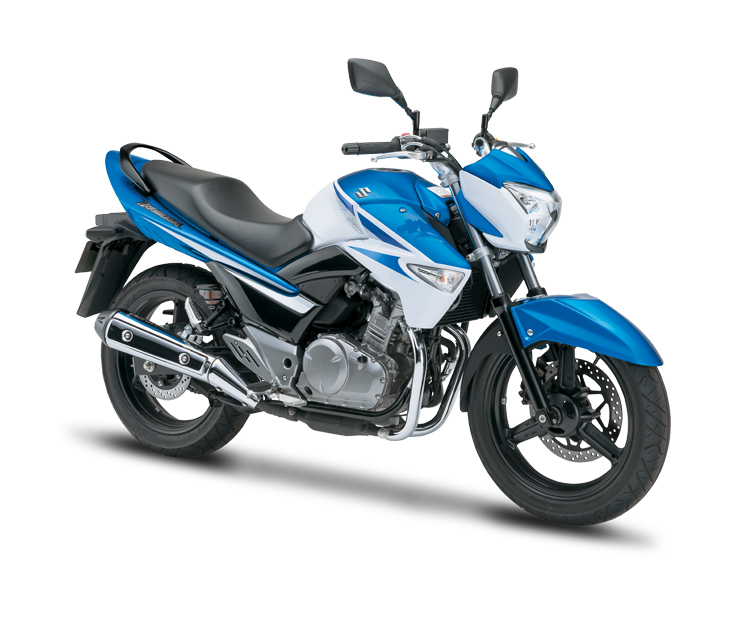 The recently launched Suzuki GS 150se is another 150cc bike which is included in the Suzuki 150cc bikes lineup. This bike features an impressive and catchy design language like other 150cc Suzuki bikes available in Pakistan motorbike industry. When we look at the front of the bike, we see an appealing and aggressive design language with catchy graphics on the fuel tank and side covers. At the back, you will see non-led indicators and a traditional design brake light. Suzuki GS150se is powered with a powerful 150cc engine that is mated to a 5-speed transmission. The salient features which the young riders see in this 150cc bike by Suzuki include electric starting system, sporty design language, fuel-efficient engine, reasonable price and powerful suspension. The drawbacks of this bike which the consumer must need to know before buying include average resale value, lack of service centers and costly spare parts. So, if the consumers who disagree with these drawbacks can surely get the great value of money by buying this 150cc bike by Suzuki to fulfill its transportation needs. Suzuki GR150 2018 price in Pakistan is Rs.2,19,000, which is comparatively high when compared with other brand 150cc bikes in Pakistan. Suzuki Motorcycles is yet another name in the motorbike industry of Pakistan which is known for manufacturing state of the art and durable bikes in Pakistan. 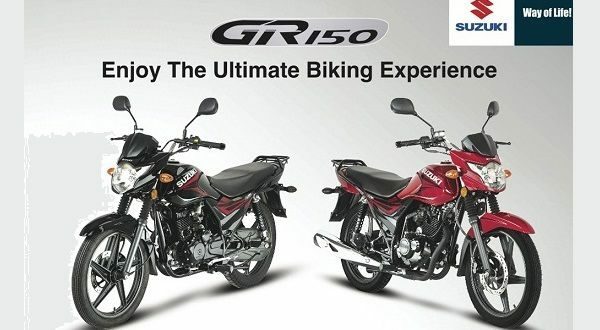 After the great success of Suzuki GS 150, they have recently launched a new Suzuki 150cc bike in the industry by the name of Suzuki GR 150. This Suzuki 150 bike is another addition in the company’s 150cc engine bike segment but with upgraded looks and innovative specs and features. At a first glance, GR 150 gives an aggressive and appealing look in terms of styling and design when compared with the previously launched GS150. The gear indicator and fuel gauge in the speedometer of this sporty looking Suzuki GR 150 bike make it a state of the art 150cc bike launched by Suzuki in 2018. The bike is powered with 150cc air-cooled engine, which is coupled with the 5-speed gearbox that transfers the power from the rear wheel through the chain. The consumers will surely be impressed by the acceleration of this bike even with a passenger on the pillion seat. It comes with a big seat just as we have seen in the previous model GS150. Suzuki Inazuma price in Pakistan is Rs.5,99000 which is competitive when we compare this 250cc sports bike with other brand sports bikes with similar features and specs. It is a bike which certainly has the capability to fulfill the dreams of a sports bike rider in the country. Suzuki Inazuma is a bike which is a pure combination of style, energetic sound, performance, and comfort. All this certainly makes this bike go beyond expectations of any sports bike rider. This Suzuki bike is designed by professional Suzuki engineers who have built this bike by keeping in mind the latest demands of the young sports bike riders. Suzuki Inazuma is powered with fuel injected twin cylinder 250cc engine, which has the capability to give the rider a pleasant and powerful riding experience. This 250cc sports bike by Suzuki features multi-functioned digital LCD speedometer with the tachometer. This digital speedometer shows odometer, twin trip meter, maintenance interval reminder, fuel level indicator, clock display and adjustable rpm indicator. The fuel injection system of this Inazuma bike electronically manages the fuel volume to give an efficient fuel economy. It is a bike which features an aggressive and sporty design with a comfortable seat and powerful shocks. Suzuki Inazuma Aegis price in Pakistan is Rs.100,00,00 which is economical as compared to other brand 250cc sports bikes in Pakistan. When we discuss top class 250cc sports bike in Pakistan, Suzuki Inazuma Aegis surely helps it to rank on top of all other brand sports bikes with similar engine specs and features. This bike is a pure combination of high performance, style, comfort and energetic sound. It features a sporty and aggressive design language, which is mostly loved by the young sports bike riders in Pakistan. Suzuki Motorcycles Pakistan has especially designed this 250cc bike for its young riders, who wish to enjoy a comfortable riding experience at high speed. Suzuki Inazuma Aegis is powered with advanced fuel injected twin cylinder 250cc engine, which has the capability to deliver a powerful ride and comfy riding experience. This bike features durable build quality, appealing graphics on the fuel tank and side covers. The digital LCD speedometer shows twin trip meter, clock display, fuel level indicator, maintenance interval reminder, and odometer. The modern fuel injection system allows this bike to give an extravagant fuel economy. Its electronic management allows this bike to provide stability in an effective manner. Suzuki GSXR 600 price in Pakistan is Rs.19,50,000, which is quite high as compared to other brand 600cc motorbikes available in the sports bike industry. Suzuki GSXR 600 is a bike which is specifically designed to dominate in the AMA Pro Road Racing series. It is not a bike but it is a bike which is built to win races in an effortless manner. Pak Suzuki Motorcycles Pakistan has launched this powerful engine sports bike in Pakistan due to its extravagant popularity across the globe. Though, it is not in demand due to it being priced at a high price tag. Suzuki GSXR 600 is powered with 4 cylinders 600cc engine which enables this bike to produce enough power to outrun any other brand sports bike with similar engine features and specs. This bike is a complete sports bike package which has the capability to own the race track. It is a lightweight sports bike, which enables it to produce high speed. It features Suzuki dual throttle valve fuel injection, drives mode selector, analog tachometer, dual trip meter, gear positions indicators, Suzuki advanced immobilizer system, electronically controlled steering damper and adjustable ride height. This bike is surely recommended to the sports bike lovers who wish to stay on top of every race. Suzuki Bandit price in Pakistan is Rs.14,50,000, which is fairly high as compared to other brand bikes available in the motorbike industry. It is a bike which is powered by the 650cc engine, which has the capability to outrun any other bike with a massive difference in an effortless manner. If you are a racer who has an urge for victory on road, there certainly cannot be any other better option than the Suzuki motorcycles one and only Suzuki Bandit. This bike has set a new trend in the heavy bike industry with its spectacular performance and advanced specifications. It features a durable and sporty design language, which surely makes it a must buy the bike in Pakistan. Suzuki Bandit is a bike which features disc brakes that allows the rider to stop the bike at high speeds in an effortless manner. Its durable build quality and stylish design are considered as the main reasons behind the popularity of this bike in the heavy bike industry of Pakistan. It is equipped with 4 stroke DOHC 16 valve 650cc engine, which enables it to give a winning performance on every race track. The balanced suspension system of this bike allows the rider to handle this bike in an effortless manner. It comes with powerful shocks, which allows the rider to enjoy a comfy ride even on bumpy roads. Suzuki Intruder price in Pakistan is Rs.170,0000 which is reasonable as compared to other brand bikes with similar specs and features in the market. Suzuki Intruder is certainly an award-winning heavy bike which is fully loaded with innovative features and specs. This bike is a true mixture of a powerful engine and high performance. It is also considered among one of the best and modern designed cruise bikes in the world. This bike is specifically designed for the riders, who wishes to enjoy a powerful ride in a comfortable manner. The resale value of this bike is also good as compared to other brand bikes. Suzuki Intruder is powered with 800cc 4 stroke liquid cooled engine, which allows the rider to enjoy a high-speed ride in an effortless manner. This bike is equipped with world class braking and suspension system to give an extravagant performance. It features electric start like many other heavy bikes available in Pakistan. Its sporty design and appealing graphics on the fuel tank and side covers make this heavy bike overall appeal dominating. It is a bike which is a must buy for the consumers who are interested in a bike that is equipped with modern features and specs. Suzuki Hayabusa price in Pakistan is Rs.26,00,000 which is quite high as compared to other brand heavy bikes available in the heavy bike industry. Suzuki Hayabusa is considered as one of the most expensive and fastest heavy bikes in the world. 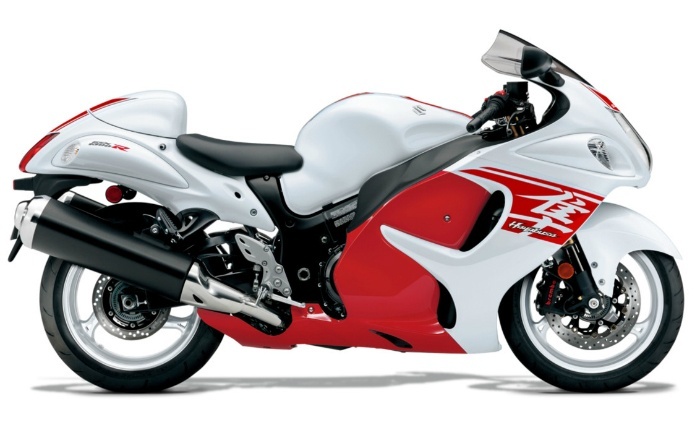 Hayabusa price plays a significant role in its sale across the globe. Hayabusa bike is a beast on wheels, which is admired for its extravagant performance by most known sports bikers across the globe. This beast on wheels has the capability to outrun any other brand bike with similar engine specs and features available in the industry. Suzuki Hayabusa is powered with 1340 DOHC air-cooled engine, which enables it to become one of the fastest heavy bikes of the world. Its resonating feel of power and thrill enables the rider to feel pride while its drive. The powerful engine is mated with 6-speed gear transmission which is accompanied by Suzuki clutch assistant system. The assistant system allows smooth shifting of gears, which also enables it to perform in an extravagant manner. It is a Japanese engineered heavy bike which has the capability to define the true meaning of super-fast modern racing bikes. It certainly is an unbeatable bike especially designed by a team of experienced Suzuki engineers.